100% pure malt which has been aged for over 5 years. 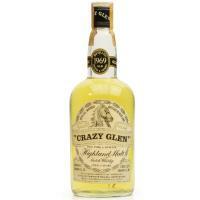 Distilled in 1969 and bottled by the Crazy Scotch Whisky International Company in Glasgow. The whisky made early 60s-70s with direct firing of stills, the abundant use of Golden Promise Barley, a slower more deliberated approach to production and even a more generous portion of malts in blends of the period ,all lead to a treasure of never again to be repeated whiskies. We refer to this as the "The Golden Era of whisky." Watch for whiskies from Turmeaus that is identified as such and give it careful consideration when you feel like a rare and special dram. Please Note: Refer to image for general condition. 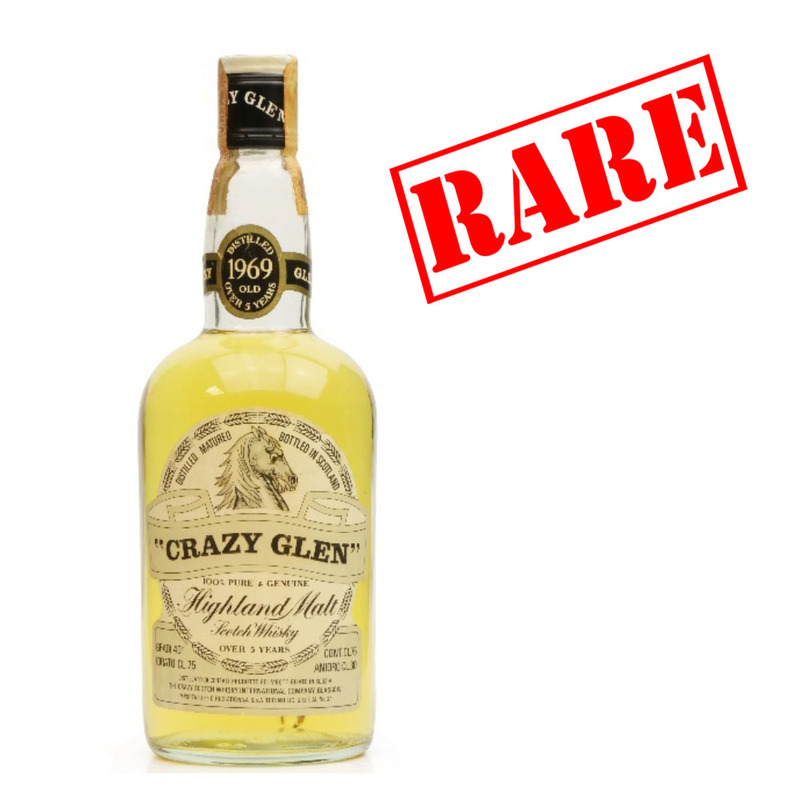 Fragrant with floral aromas in this light and creamy Crazy Glen Over 5 Year Old. The finish of this whisky is fruity, light and creamy, an overall theme of this whisky.